Aggrieved residents of Toboi, Lugerema, Toboi and Wipolo villages in Lolwa parish in Orom Sub County, Kitgum district and Layita parish in Omiya Pachua Sub County in Agago district, last week threatened to storm the districts of Kabong and Kotido, in pursuit of their raided livestock. 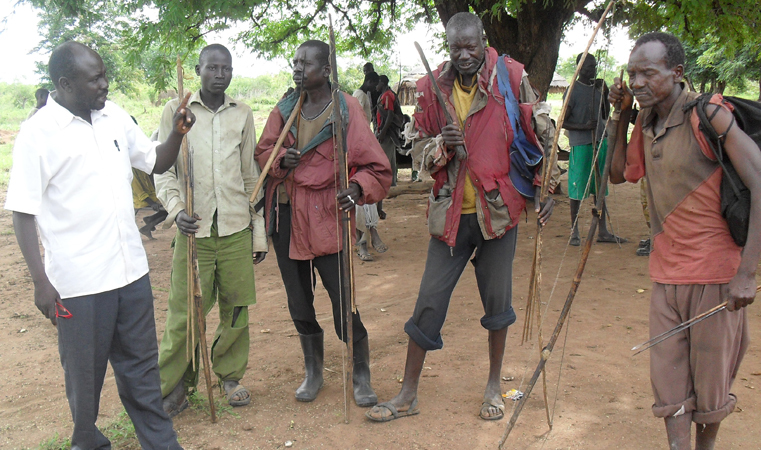 The residents convened a meeting at Toboi; armed with pangas, axes, bows and arrows and carrying sacks of food, following another recent raid by Karamojong cattle rustlers who stole cattle, bringing the total number of livestock lost to 170 cattle and 174 goats since April this year. While listing the names of affected residents and the numbers of animals lost, Mr. John Bosco Ocen who spoke on behalf of the residents said that they are not pleased with the constant raids which they attribute to the lack of security in the area. Ocen said that even though there was a response from the UPDF’s anti stock theft unit, and other security agencies, that intervention was late which meant that they were not able to recover their animals. He added that other efforts to try and recover their animals have equally failed, so he wants the government’s intervention in beefing up security in the area, so that the raids can be stopped. “These suspected armed cattle rustlers from Kabong and Kotido districts last week made an incursion into Lolwa parish in Orom Sub County and since then security operatives say none of the lost animals have been recovered, it is for this reason that we want to pursue them by ourselves,” said Ocen. Quinto Ojok a resident of Morulem Village Omiya Pacua Agago district, who lost over 100 goats earlier this month, said that the raids are affecting livelihoods in the area because the cows, especially, are used for ploughing while the goats are always sold for basic necessities and school fees. “What shall we use to plough our gardens since the bulls have gone, these raids have rendered me penniless in that I have nothing to sell for sending my children to school as the term opens,” pleaded Ojok. A planned counter attack was however, averted only by the intervention of the Orom Sub County Chairperson Qurino Olum who appealed to the residents not to pursue the Karamajong warriors, whom most cases are armed and dangerous. “They wanted to trek to Karamoja through Rokot, Karurui and Lobanya in Kaceri Sub County but this can’t happen, they can’t compete with the guns of the warriors,” said Olum. The residents called for security to be beefed up and said that they want the army to follow the raiders and recover their animals. 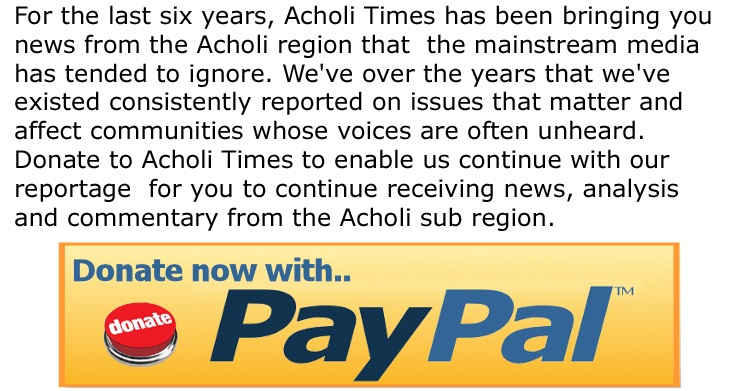 An anti stock theft unit (ASTU) official based at Tikau border detachment who preferred anonymity told Acholi Times that despite rigorous surveillance which they have maintained in the area, the raiders sometimes still manage to take advantage of the vegetation by moving in the night. “Livestock raids have become more frequent because they (warriors) are in dire need of animals that they can sell for school fees and scholastic materials,” the ASTU official said. Pirigina Apio, a victim and resident of Toboi faults government for failing to provide security in the area and says that, the government may be deliberately re-arming the Karamajong with the intent of phasing out their livestock. “Where do they get the guns from? We (Toboi residents) also had guns and we were disarmed by the government and it was during that time that they were initiating a disarmament exercise in Karamoja. So where are they getting the guns if someone is not supplying them,” she said. However, officials from the anti stock theft unit (ASTU) refute Apio’s allegations and say that the Karamajong cattle raiders buy their guns from South Sudan. “We have intercepted many and some of the ammunitions we confiscate from them are branded as guns operating in South Sudan,” an official said. Local residents have also accused the government of refusing to respond to their appeals of compensation and additionally supply them with seeds, oxen and other farming tools to improve their livelihoods. The resident say that if the government cannot protect them then it needs to give them guns and reinstate their local village defence unit, during the war, known as Platoon 4 which was armed and provided security to the village. The Orom Sub County Chairperson Mr. Qurino Olum immediately rejected the call to arm youths to fight the warriors. “It will fuel more conflicts and criminal activities, it is the duty of government to provide security, not ordinary folk who are living in constant fear,” Olum said. He also urged residents to build community livestock kraals and collectively monitor the animals so that they are not left on their own. The Resident District Commissioner (RDC) for Kitgum, Captain Santo Okot Lapolo urged security agencies to maintain surveillance at the border points and told residents that they need to be serious in observing their livestock. “Particularly during market days since the armed raiders also take advantage of such occasions where they believe that you are busy at the market.